Periodontitis, or gum disease as it is more commonly known, is a progressive disease that is characterized by inflammation and loss of connective tissue supporting the teeth. Treatment for the disease ranges from deep cleanings to periodontal surgery, depending on the severity of the condition. Progression of the disease without treatment can lead to loss of bone and eventual tooth loss. Periodontitis is the most prevalent oral health problem in the United States today. It is a national epidemic, affecting Americans both young and old. Recent research has uncovered that nearly half of adults aged 30 and above have some form of gum disease. In addition, nearly two-thirds of those over age 65 have moderate or severe gum disease. Men are more likely than women to have the disease. Higher prevalence is also found among certain racial and socioeconomic groups, including African Americans, Mexican-Americans, those below 100% of the federal poverty level and those with less than a high school diploma. Smokers also have a high incidence of the disease. These findings seem to suggest that education and income levels are related to the incidence of gum disease. They highlight the importance of educating people on the seriousness of gum disease and how it can be prevented. The key to preventing gum disease lies in your oral hygiene. Maintaining good oral hygiene habits is essential. To keep gum disease at bay and protect your oral health, do the following. 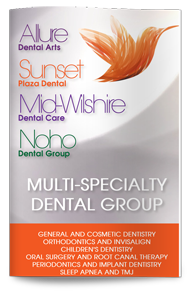 Consult with our periodontist for more information.